Excelsior Disposable 5mL fill in 6mL prefilled saline flush syringes are supposed to be used for the flushing of venous access devices, such as inserted central catheters and intravenous (IV) lines. However, a batch of these syringes that were distributed in August 2010 has now been determined to create risks for those who require the syringe. There is a risk that the syringe will leak and lose sterility. This problem could lead to an infection in the bloodstream which may result in serious injury or death for users. This is a Class I Recall which is the most serious kind of recall. Customers and medical providers using the syringes have been advised to stop using the syringes and return them to the manufacturer. Excelsior Medical is arranging for the return or destruction and reimbursement for any products that are returned as a result of this recall. Customers must also return a form confirming that the customer is aware of the recall and heeding to the requirements of the law. Personal injury or death due to recalled products is sometimes difficult to uncover. For example, 80,000 annually suffer from hospital infections. So, it could be difficult to know the root cause. If you or a loved one believes that you have suffered injury due to a recalled medical device, you can order your medical records to see if there is related documentation to support your claim. 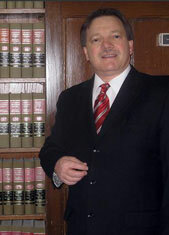 You can also contact a personal injury attorney who can help establish the validity of your claim.